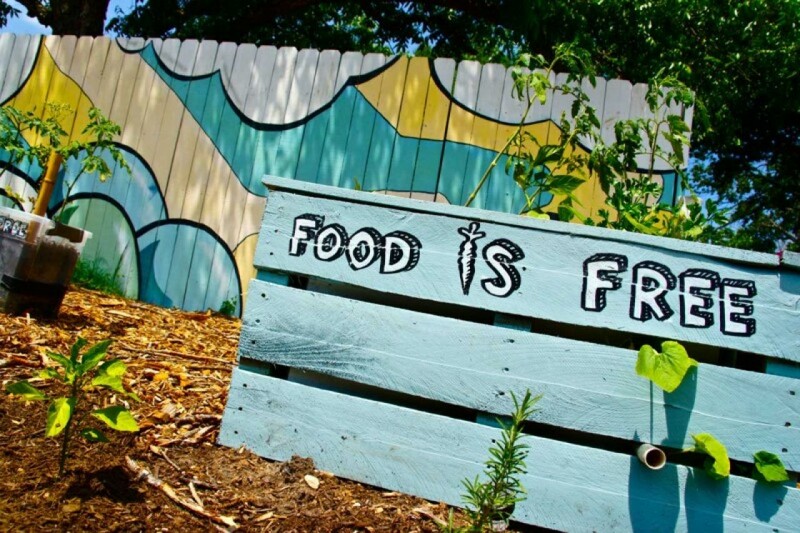 The Food is Free Project is a huge global network of front yard gardeners that have built community resiliency and partnerships through front yard gardens and free food markets. The movement start in Austin, TX, in 2012, when John Edwards had a profound vision that changed his life forever. Since then, the project has a quarter million followers with chapters on nearly every continent and is growing more each day. I caught up with John recently, and here is our correspondence. His story is an inspiring message to the global food movement and induces personal transformation through community action. Taylor: So John, tell me a bit about your background and how you developed a passion for homegrown food and sustainable farming before we jump into the Food is Free Project? John: As I look back on the journey that brought me to the garden and turned me on to farming, it traces back to a friend who gifted me seeds. I was working a sales job to get my head above water from my college debt. I didn’t think much of the seeds at the time but decided to sprout them with a friend and give it a shot. I made lots of mistakes but fell in love with the process. I ended up growing micro carrots and baby beets and found peace with my hands in the soil. 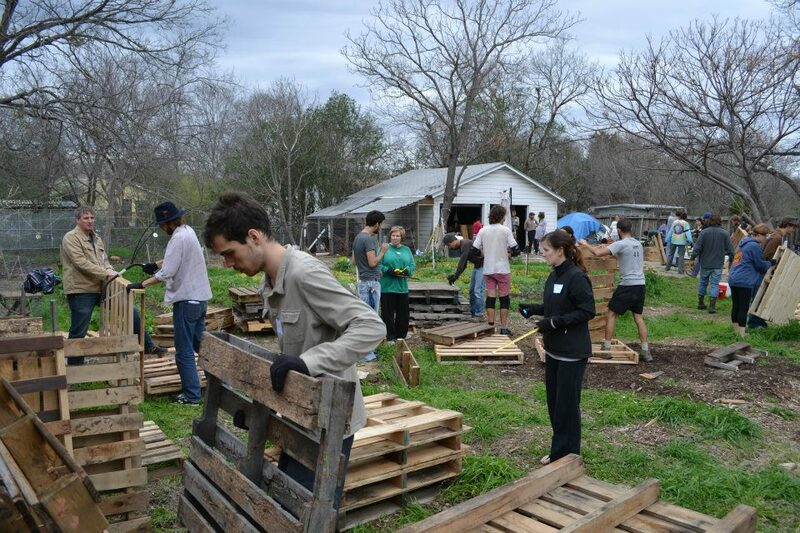 Right around this time, I offered the empty lot next to my house to an urban farming cooperative and one Saturday, 50 people showed up at my house and we transformed the overgrown lot and planted, fertilized, and mulched 500 potatoes. We had started a mini-farm in under 6 hours and still had time to share a potluck meal together. This got my gears turning and really blew my mind. I was wondering why we don’t do this every weekend and thinking what it would be like if each street had their own crops to trade with others around them. I started to look around my neighborhood and imagine how things could be instead of how they were. I watched documentaries and read books on our food system and as I realized how broken our food system has become, the return of a local food system where food is grown closer to where it’s eaten just seemed to make sense. Taylor: Where are you living right now, and what are the projects you have going in your region? 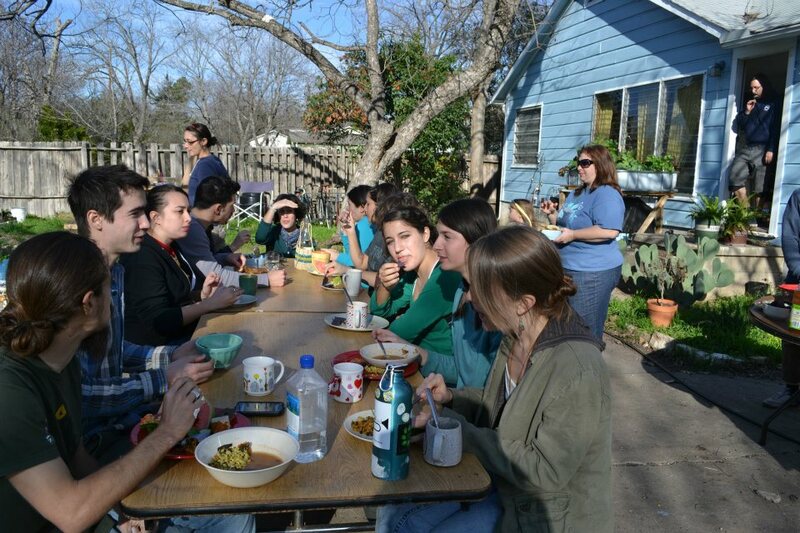 John: Once our urban farm in Austin went up for sale we put a call out for our next headquarters and were generously offered an amazing piece of farmland in Fayetteville, AR. We have much more room to expand our operation, document our progress and share it with growing Food is Free community around the world. We imagine a space that not only grows an abundance of food to share, but also trains community leaders and brings together music, theater, art, and more. Taylor: What is your relationship with permaculture? John: My relationship to permaculture is ever-growing. 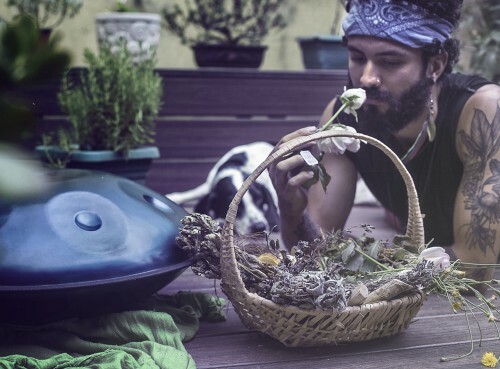 When first starting my garden, I checked out Gaia’s Garden* from the library and it just made sense that we shouldn’t have to fight against nature if we’re willing to learn from it. I’ve been soaking up information from books, videos, and classes and it seems this road is one where the learning never stops. Some of the oldest gardeners and farmers I’ve met seem to always be discovering new obstacles and solutions, which is quite humbling and beautiful. Another Food is Free Project urban wicking bed garden. Taylor: When did the Food is Free project begin, and what inspired its inception? Was it in response to anything in particular? John: Though some may have seen my first garden as a failure, it was the first taste for me of something great. I knew I was onto something even though my harvest could fit in the palm of my hand. There was something about growing any part of your own food that turns on a light bulb and feels empowering. I planted my second garden out in the front yard and that’s when the seeds of Food is Free Project were planted. I had plenty of space in my backyard but planting that garden out in front of the privacy fence was a powerful statement even though I didn’t realize it at the time. In a world where we rarely spend much time on our front porch any more, I met more neighbors than I could imagine while tending my small 4×4 raised bed garden. Neighbors out walking their dog or strolling by would stop and ask what I’m growing and tell me about their gardening projects. One memory that continues to inspire me is of a neighbor who told me that just from walking past my garden over the season and watching it grow, she was inspired to start her first garden. Now she’s gotten all her friends growing their first broccoli. I hadn’t ever talked to her until that moment and I had know idea that a simple front yard garden could have such power. 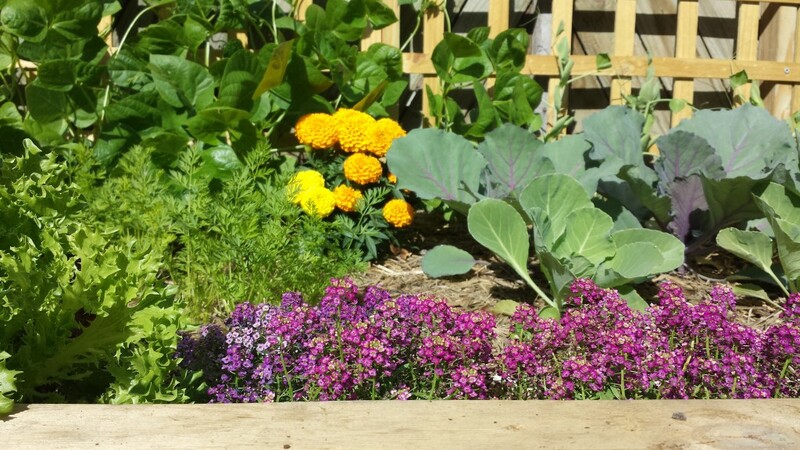 I really started day dreaming of what it would look like if my whole block got to share that experience of front yard gardens and more neighborly connections. One day when walking home from the coffee shop I just saw this vision so clearly of my whole street lined in raised bed gardens where neighbors could harvest from each other and get to know each other. My background in sales helped me to realize that if I could eliminate the reasons people might say no to a front yard garden, they’d be much more likely to say yes. 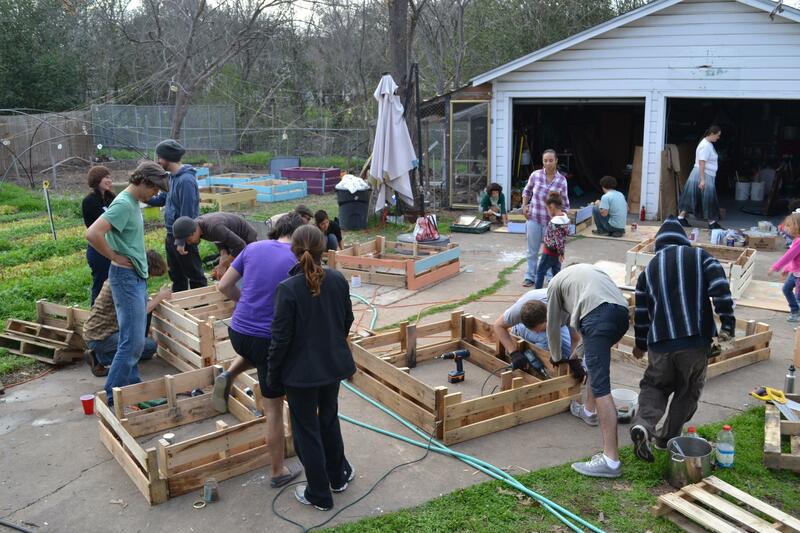 I rallied some friends and we found a way to build low maintenance wicking bed gardens out of wood pallets and other salvaged materials so we could offer them for free. 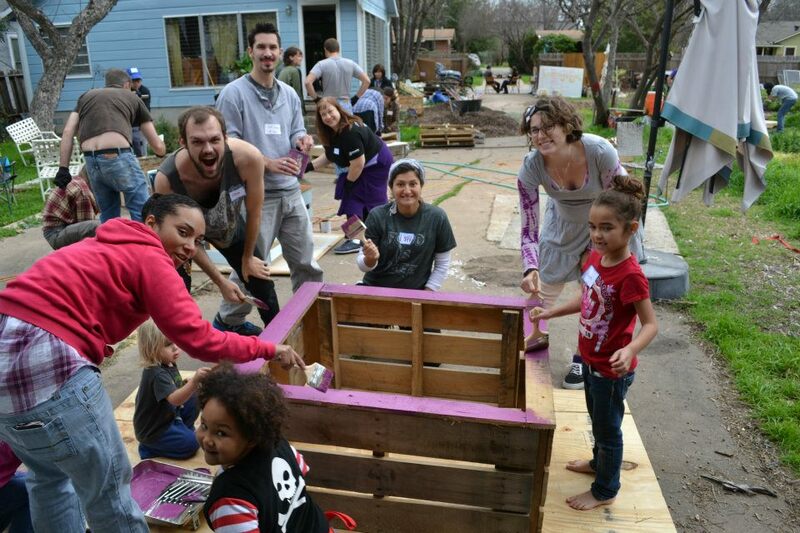 In January of 2012 we hosted a launch party for the idea and within 5 weeks you were in the minority on our block if you didn’t have a front yard community garden. It was clear to me that we were onto something. Before this experience I was feeling paralyzed as to how I could make a difference in the world but by focusing on my immediate community, it was really possible. So I blogged about the process and started to encourage other people to take the idea and make it their own if they were inspired. Six months later, I got an email from a new friend who wanted to launch a branch of Food is Free in Tasmania on the other side of the globe! My little front yard garden had rippled around the world and it was clear to me that food has the power to unite us. Now we’ve had over 250 cities around the world start Food is Free Projects and we’re creating an amazing community of support, inspiration, and action that is growing more each day. Food is Free community work day! Taylor: Food is Free has become a pretty high profile project. Were there any marketing techniques that you used to spread this message to such a wide audience, or did it sort of organically evolve into a high growth project? John: It’s been amazing to see the Food is Free community grow. Each day we get messages from around the globe of people sharing their #foodisfree photos of growing and sharing. We’ve grown to a community of over 200,000 people from around the world and it’s so exciting to see this resonate with so many. It has definitely been an organic process of growth but ever since the Tasmania branch of Food is Free started, I’ve felt it in my bones that this has the potential to really go global. In a time when we’re bombarded on the news with so many stories of what’s wrong in the world, we need to write our own stories of what’s right in the world. With the power of social media, we have the ability to be our own broadcasters of news as well as receivers. We’ve gotten messages from so many like-minded projects and have started to realize that so many amazing people are doing good things around the globe. It may not get air-time on your evening news but if we start taking small actions to uplift our community, we’ll realize we’re not alone. We’re all in this together. Taylor: Does Food is Free organize regional nodes/groups? 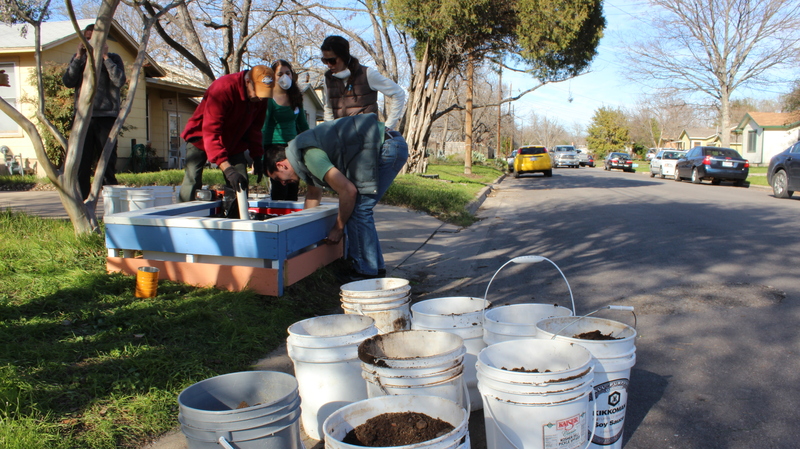 For example Radical Mycology has a regional mycology group in every city, or you can start one. 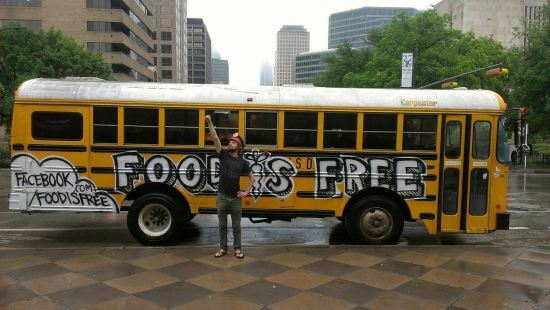 Does Food is Free have ways for people to plug into the project from their hometowns? John: Since we had the first sister branch of Food is Free Project Tasmania start in October 2012, we’ve been encouraging those who are inspired to start one as well. We answer questions or offer advice as well as help to share the content and photos of other Food is Free Projects. We released a free PDF guide this Spring on “How to Start a Food is Free Project” which seems to have sparked many more projects to get started. 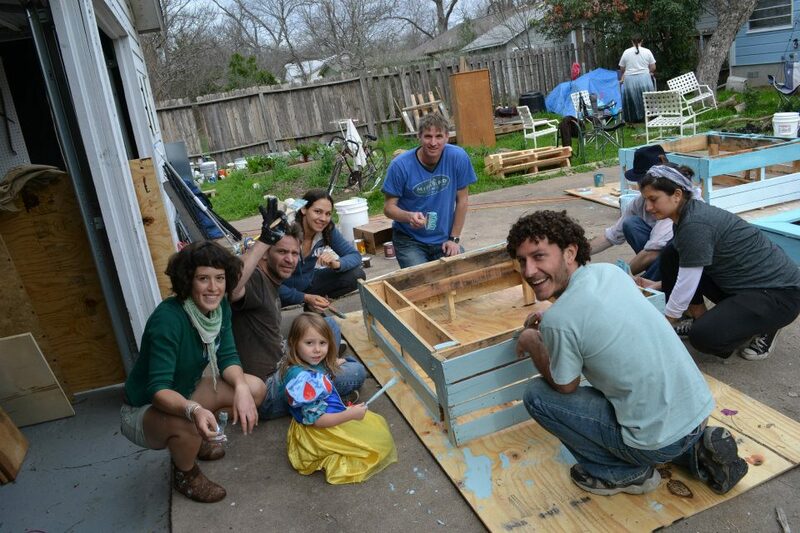 Painting and building the upcycled pallets into wicking bed gardens! Taylor: Where is this project moving toward? Which social movements that are happening in our ever-changing world will foodisfree be addressing in the future? John: As the project has gone open-source, it’s been amazing to see how the worldwide community has turned what started out as a neighborhood project into a global movement. It’s been awesome to let the reigns up and let the worldwide community start to shape what Food is Free is evolving into. We’ll continue to find ways to share information, inspiration and education on how to take action in your piece of the world. We have goals to set up a mobile app to help you connect with others near you, share/swap seeds, trade veggies or borrow tools from a neighbor. We believe everyone deserves access to fresh, healthy food and that there’s no reason anyone should go to bed hungry if we’re willing to collaborate and take united action. When we’re out in the garden, all of our differences fall by the wayside and we are reminded that we’re much more alike than different. From there we can start other conversations about how we can work together to make a world that works for all of us. Taylor: Where do you see the local food movement in ten years? My conversation with john was incredibly inspiring and has gotten me thinking. What kind of ripples can I make in my sense of place? Where could I start a public food forest? What kind of local legislation is in place that I might need to overgrow, or which local agencies do I need to consult in order to put these systems in place? Who are the allies in my community, and with whom do I organize a #foodisfreeproject in my community? 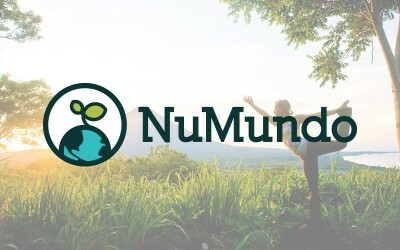 If you have any questions about community organizing feel free to email taylor@numundo.org or to speak with John about starting a food is free chapter in your region, email foodisfreeproject@gmail.com. *You can read Toby Hemenway’s Gaia’s Garden for free here. This has come to me at the most perfect time in my life. I know I read about the Food Is Free a couple of years ago, but it slipped through my thoughts. But throughout the last few years, I learned more about gardening and urban gardening and the unfortunate and sad ways we treat our food. I too walked through my neighborhood and saw the space. Filled with life and yet baren. Just wasted space with dying grass. And about a year and a half ago I had a dream… which I know realize it shared by you, John Edwards and COUNTLESS others. People that still see the beauty in this world. Not just apocalyptic futures.